When I came across this, my reaction to this cookbook is similar to the one I had when Fifty Shades of Grey came out – I’m getting it on my way home from work tonight! 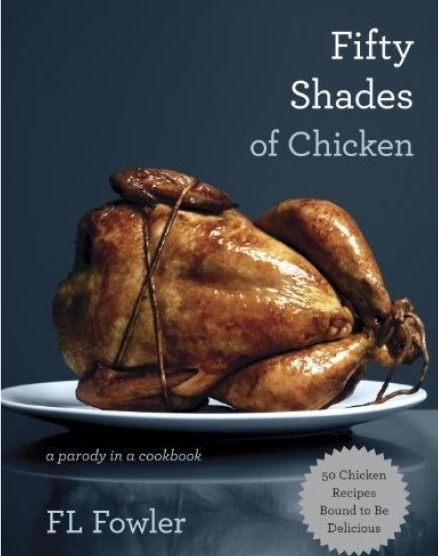 The book is written in the same manner as Fifty Shades of Grey, except the narrator is a young chicken. It has 3 sections, new chapters of her life with her manly, dominant chef. The best part of this cookbook is, not only are the recipes delicious, it describe how she’s feeling when she waits for him to rub her down with oil, how the heat really gets her going and how she anticipates her chef’s next move… It’s ingenious! I’ll keep you guys posted on how the recipes turn out. Until next time!